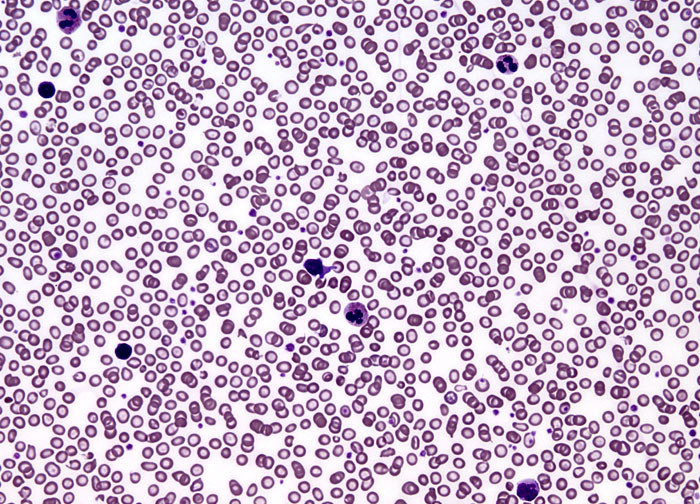 Thalassemia minor is the least serious of the forms of beta thalassemia. In fact, the condition is often asymptomatic, though patients with the disease produce red blood cells that are smaller than normal and are, therefore, capable of carrying less oxygen than typical red blood cells. Thalassemia minor is sometimes accompanied by mild anemia and on rare occasions can lead to minor swelling of the spleen. Usually, however, no treatment is necessary. Individuals that are diagnosed with thalassemia minor have inherited the disorder from only one parent, making them heterozygous for the condition.